Bexley. My home suburb. I grew up here. It's a quite, sleepy suburb. It has been struggling for years to keep business' open and parking is a nightmare not to mention the bottleneck and traffic jams that is Forest Road. Saying that there are a few great little places opening up and hopefully they will be successful. So, when I saw that a new place was opening I was intrigued. 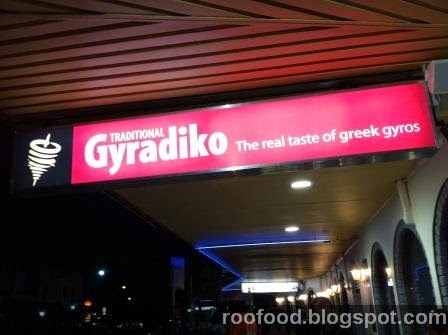 Next door to the Greek Taxidi Restaurant, Gyradiko opened it's doors a few weeks ago. Since the opening night there has been a continual line out the door and around the corner every night until late. Everytime I've driven past it's pumping. Well Friday night I decided to go check it out for myself. I 'dragged' Mr C along too. Date night, new restaurant, food review and blog post - all thrown in together. We are lucky that we get there relatively early and only have to wait about 10 minutes. Families are crowding in and the few tables that the restaurant offers are packed. 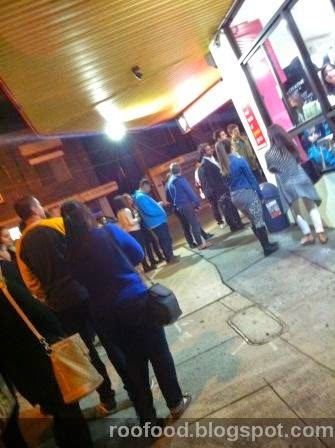 Many people are getting takeaway this Friday night including us. Huge slabs of pork are on the spit roasting slowly and the smell wafting through the restaurant is smokey and meaty and I'm drooling. There are only a few offerings at the moment. Pita or a Plate option and there is a combo option which includes a drink. They will be adding further Greek options at a later date. 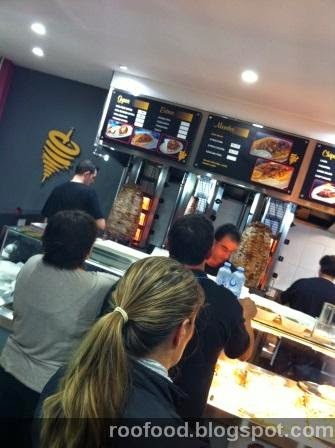 Gyradiko is selling traditional Greek gyros and I really do mean traditional. 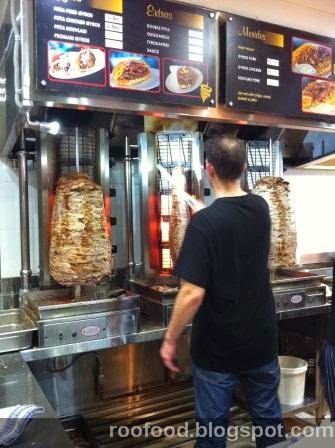 In Australia we loosely identify a gyro (o yeeros) with a doner kebab laden with lettuce, tomato, tabbouleh and sauce with beef, lamb or chicken. 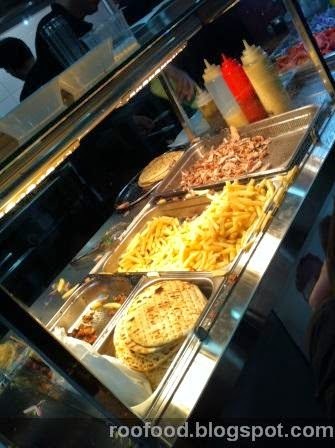 However a traditional gyro is served on a Greek style pita (fluffier than your typical Arabic donar kebab wrap) and either pork or chicken with onion, tomato and tzatizki sauce and fried potatoes. There is a great production line happening. These guys are run off their feet. ....this is then tightly rolled and wrapped in paper and then you pay and out the door within minutes. As we are leaving the line has snaked outside and around the corner (at least a 30 minute wait from this point). We get home and unwrap these babies. As I sink my teeth into the pork gyros I am instantly transported back to my 5 weeks of travelling around the Greek Isles..where I ate a gyros every day. Brings back some wonderful memories of Mykanos, the Mediterranean and some amazing Greek food! The pork is just the right amount of 'fatty' and smokey and very tasty and the tzatiki adds a zingy punch. I'm a fan of the pork gyro. 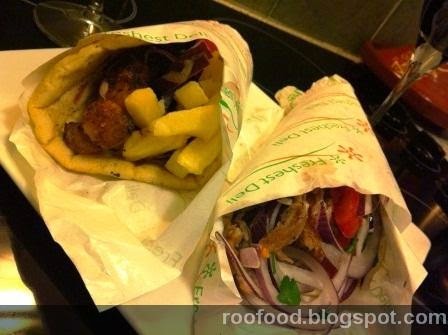 The chicken souvalaki gyro was okay.. I will try this again and give it another chance...but I know I'll be going for the pork gyros again. I can understand why they are so busy, being new and one of the very few places (maybe the only one) offering traditional gryos in Sydney. They are definitely making a name for themselves and rightly so. all I can say is get yourself down to Gryadiko and test it for yourself. Just be patient with the lines. it won't disapoint. I know I will be back very soon. Looks awesome. Fresh pita makes such a difference! Will have to check it out soon! Go and try the yeeros shop in Marrickville! I was not overly impressed with it, I certainly wouldn't make a effort to go again, I got no mustard on my gyro, the chips were under cooked and the pork was overly dry and salty. 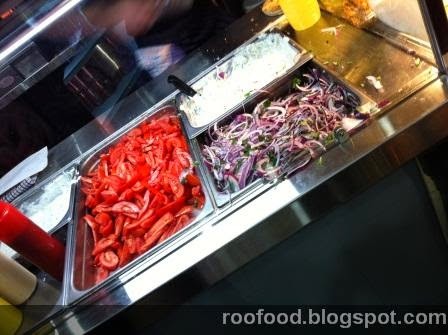 Pork gyro is NOT the only traditional gyro served in Greece there is also lamb and chicken. WRONG. greek gyros is exactly what theese guys sell over there, like it or not. I've been several times and the pork is never dry as it hasn't had a chance to over cook or sit around as they are so busy and can barely keep up with customers. 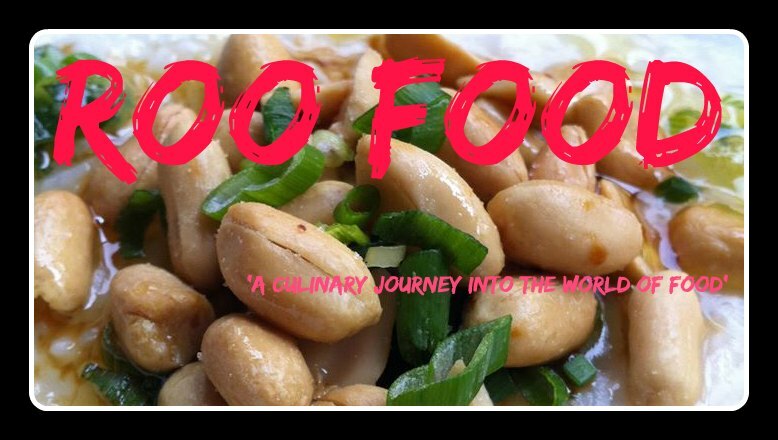 I will taste Friday takeaway very soon!